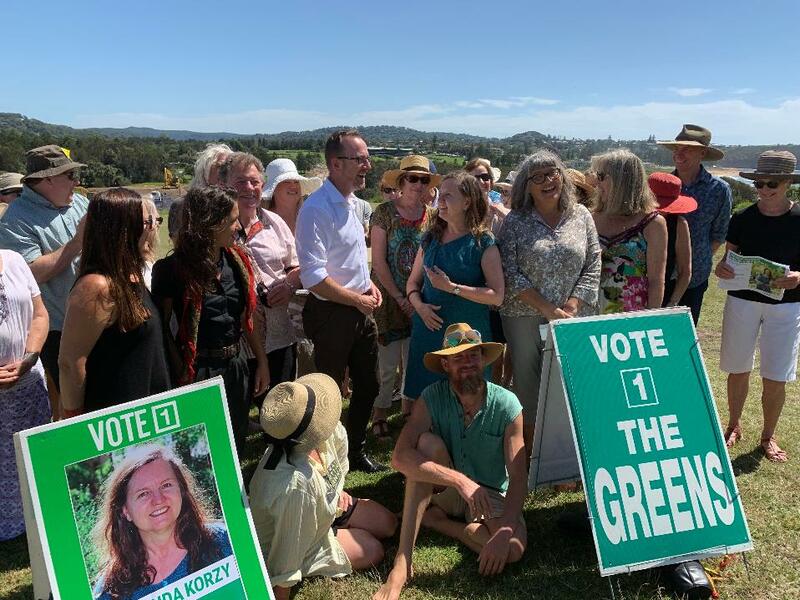 NSW Greens MP David Shoebridge has launched Avalon local Miranda Korzy as the Greens candidate for Pittwater at the state election, focusing on Mona Vale Hospital. The launch at South Mona Vale Headland on Saturday morning, took place within sight of the hospital. “Standing on this headland is a great reminder of what we treasure in this area, with an amazing environment and strong community living in villages between Pittwater and the ocean,” Ms Korzy told supporters, family and friends. “But this community has been disregarded and its heart attacked with the closure of Mona Vale Hospital’s acute services and merger of our council. “At the same time, control of our environment has been stripped away from our us and our council by the NSW Coalition government’s planning laws. Ms Korzy, who has lived on the Northern Beaches for 25 years, is a journalist with a long involvement in community and other social justice and environmental campaigns. She helped kick off the latest round of the fight to Save Mona Vale Hospital and is an active member of the committee. A founder of the Protect Pittwater Association, she is also campaigning to recover Pittwater Council. Until recently, she was a long-standing member of P&C groups at her children’s schools, where she lobbied for education funding. “Miranda is an extraordinarily strong local advocate whether it’s for saving Mona Vale Hospital, restoring Pittwater Council, protecting the local tree canopy or stopping privatisation of essential public services,” Mr Shoebridge told the launch. Mr Shoebridge said the March state election will be all about climate change and people. “As we see the impacts of extreme heat, dying rivers, terrible fires and flooding taking a toll on the most vulnerable amongst us, it is time for politics to finally deliver solutions,” Mr Shoebridge said. “The Greens will implement real change to planning, giving all residents a say, re-empowering councils and changing the law so climate impacts and responses are central to all planning decisions. Mr Shoebridge, whose portfolios Justice, Local Government and Planning will be in first place on the Greens’ Upper House ticket at the state election. He is a barrister and first entered Parliament in 2010.